Dorothea J. 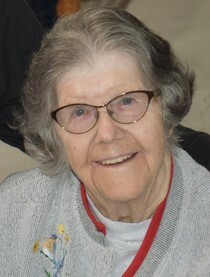 “Dot” Dottie Rollins, 89, of Russiaville, passed away at 7:15pm Tuesday, November 6, 2018, with her family by her side. Dot was born March 10, 1929, in Kokomo, to the late Lyle and Cecil (Powell) Rubush. She married John J. Rollins on January 26, 1946. He preceded her in death April 30, 1999. Dot was a member of Auxiliary Post 412 of Russiaville, and VFW Post 1152 of Kokomo. She was an avid Sprint Car fan and a member of Harf. She enjoyed watching her favorites; Tony Elliott, Tom Bigelow, Dave Darland, AJ Foyt, Tony Stewart, and Jeff Gordon. She also enjoyed spending time with her granddaughter Jamie, grandson Tom and his wife Charman, her great-granddaughters Kinedy and Breanna. They were her number 1 and 2 Angels. Along with her dog Rockee. Survivors include her daughter, Jonnie (James) McWilliams, of Forest; granddaughter, Jamie Bouse, of Russiaville; grandson, Tom (Charman) McWilliams, of Russiaville; great-granddaughters, Kinedy and Breanna Bouse, all of Russiaville; a sister, Mary Meiring, of Kokomo; brothers, James (Helen) Rubush, of Forest, and Marianna Rubush, of Eaton; sisters-in-law, Linda (Doug) Shipley, of Galveston, and Harriet Rubush, of Kokomo; brother-in-law, Dean Moon, of Kokomo; Glen Taylor who was like a grandson to Dot, along with several nieces and nephews, great-nieces and nephews, and great-great nieces and nephews. She was preceded in death by her parents; husband, John; son, David; sisters, Helen, Carol, Audra, Sara, Betty, Alice and Martha; brothers, Billy, John, David, and Robert Rubush; and brothers-in-law, Paul and Charlie Rollins, and Larry Avery. Services will be at 11 a.m. on Saturday, November 10, 2018, at Stout & Son Funeral Home, 200 E. Main St., Russiaville, with Bill Martin officiating. Burial will follow in Russiaville Cemetery. Friends may call from 4pm - 8pm Friday, November 9, 2018, also at the funeral home. Memorial contributions can be made to the Alzheimer’s Association. Online condolences may be made at www.stoutandson.com.